If you are frustrated with weekly waxing and shaving off your body hair, it is high time that you consider something, which can give up this problem forever. Laser hair removal is something that one should consider for the effective hair removal process. This popular cosmetic procedure helps individual to save time, money as well as efforts. Laser hair removal can be said as a long-term solution for all the unwanted hair on your body. If you are wondering the benefits of undergoing this expensive hair removal procedure, continue reading this post. Stubble is almost inevitable with all the methods of hair removal. Shaving lets the hair come back again, making the skin feel blunt and rough. Now, for waxing, you have to wait unless you get enough hair to strip off. With laser hair removal, you can get silky and soft skin after every session. It addresses the hair growth in such a way that remaining or regrowth hairs are far paler and firmer than before. With the best laser hair removal in Delhi, you can enjoy smooth and silky skin for years to come. After the laser hair reduction the hair roots are dead, and the shaft of the hair falls of in a few days to week or so, depending on the body area. once the shaft of the hair falls of the skin appears much smoother. also if we use the Latest Alma Alex technology there is some improvement in the skin tone and colour too. As we all know that laser destroys the pigment or melanin present in the hair follicle. Therefore, the follicles become sterile and then disappear. It means that around 70 – 90%, permanent hair growth reduction is assured, and in some of the cases, it may not even grow back again. The ingrown hair lead to strawberry /brown-black dot type of appearance on the affected area. Post the Laser hair removal with the right technology and right operating parameters there is also reduction in the patchy skin colour and blemishes that had happened due to old ingrowing hair. some patients who choose to take only 2-3 sessions, even in them , the problem of ingrown hair goes away if and when they choose to of have to wax in the future. This due to the fact that hair have reduced in diameter, thickness and density. Laser hair removal is safe on all body parts; even in those areas where shaving is not the best option. Undoubtedly, a laser hair removal session is more expensive than a pack of shaving razors or a tin of shaving cream. Nevertheless, it is cost effective in the long run. 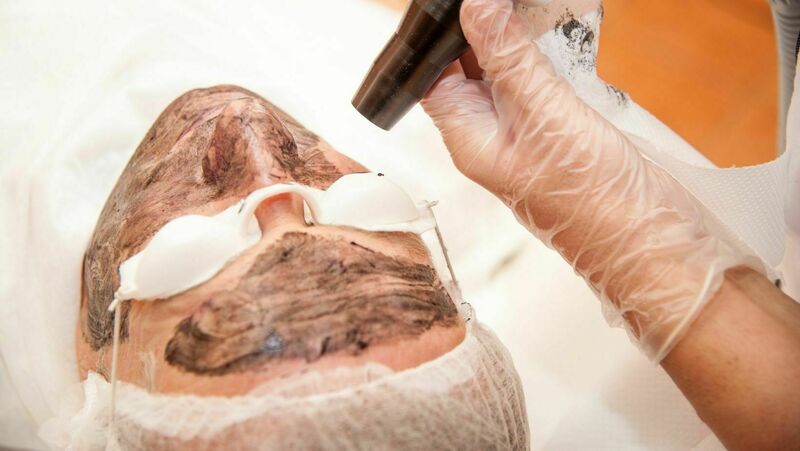 Once you undergo the laser hair removal sessions, there is no need for you to pay for shaving cream, razors, waxing treatments or any other kind of hair removal products. The higher upfront cost of laser hair removal may initially seem heavy on the pocket, but it is quite cost effective. For the overall hair removal sessions, you might need to spend around 10,000 or 20,000. However, you can remain tension free for years to come, thus saving hundreds of rupees on hair removal products. You can check out for the best laser hair removal clinic in Delhi to ensure precise, quick and cost-effective laser hair removal service. Ingrown hairs are often responsible for waxing and shaving, followed by itching and irritation. Thus, several people develop post-inflammatory hypo pigmentation marks, which can be even permanent in some cases. The amount of hair growth can be reduced with the help of laser hair removal. This is a permanent and positive method without any risk of skin discoloration. With the growing refinement in technology, the risk of short term problems post laser is gotten negligibly low. For effective laser hair removal process, you can get in touch with Dr Alpna Das Sharma at Sparsh Skin Clinic. She is a qualified expert and can help you to undergo this process safely owing to her vast knowledge and years of experience.